Two fixed-quantity linear counting boards and numeral cards, 1-10. Number word appears on the back of the numeral card, as a variation. 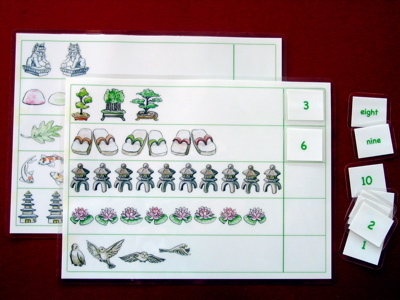 Boards and cards are laminated.